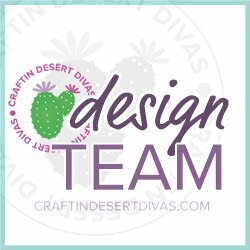 Today I am sharing a card that I created with the new Craftin Desert Divas Sparkle Stamps. This set has the cutest unicorns! 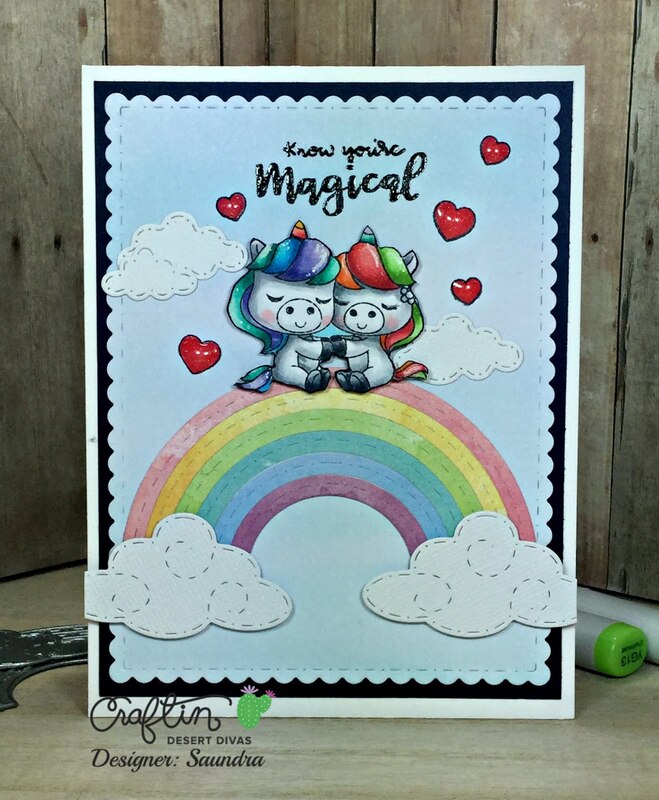 For my card I chose this cute unicorn couple. The stamp actually includes a rainbow but once I colored this couple up I decided to fussy-cut them out and left off the rainbow. As you can see I still sat them on a rainbow I just added them to a larger one. 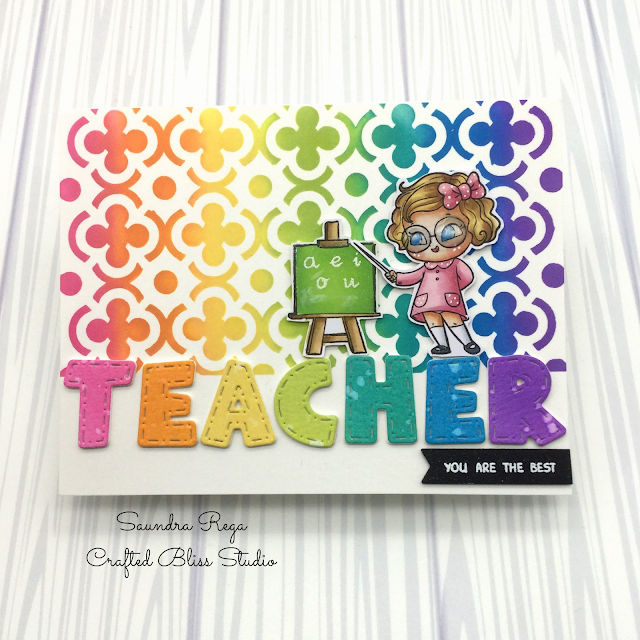 This rainbow is from CDD Rainbow Dies. I cut it out several times to get the various colors. The large clouds are included in this die set, as well. I added few more clouds from a few other CDD die sets: Scene Builder Dies and Tiny Treasures Dies. 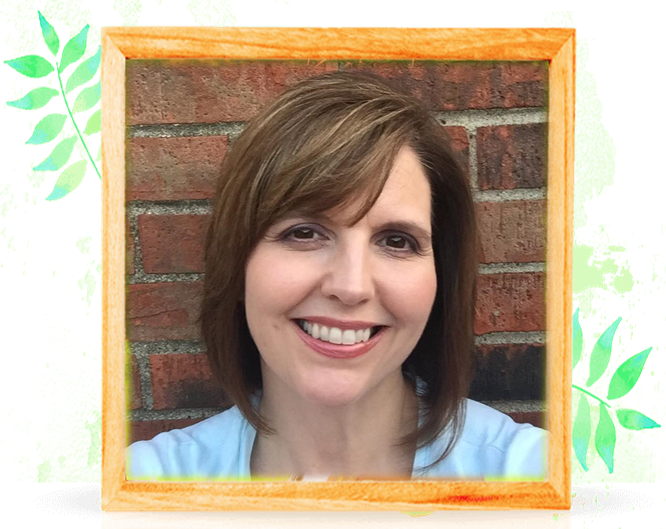 I added a few hearts around my image and heat embossed my sentiment, both included in the Sparkle stamp set.